Who are the ideal and realistic quarterbacks the XFL could be signing this year? Run down the list of potential field generals with us on this week’s episode! Also, the NFL coaching carousel is finally settling down but not without affecting teams in multiple leagues. Get the latest on what it all means for the XFL as well as why the XFL is in a great position to lure young talent away from college football in 2020. The XFL quarterbacks have to be in The Tommy Maddox mold. Former 1st round picks looking for redemption like EJ Manuel and Paxton Lynch. Guys like Tim Tebow and Johnny Manziel would be ideal as well. A name from the past that makes sense in Houston is Vince Young. I can see some of those, I’m just not sure if they would want to welcome in someone like Manziel though. 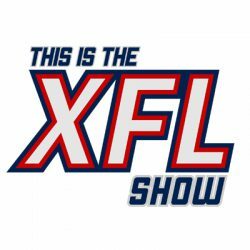 Previous PostPrevious This is the XFL Show Episode 50: What’s the Big Deal?